This is the Q&A session from my book launch. For the opening conversation with Sarah Amsler, check out Episode 4. The Alienated Academic is available from the Palgrave site, or it’s a little cheaper via institutional access to Springer Link. The questions that I was pre-emailed are appended below. Here’s a question – open ended, really – about whether the possibility of mass intellectuality is possible without a degree of alienation and disfunction. I remember thinking when I read your and Joss’s book that there is a paradox there about inequality and alienation being a forcing ground for mass intellectuality e.g. the pensions strikes. In the book you write: “Narratives from academics of colour, precariously employed academics, academics who have been made ill through overwork, marginalised academics with caring responsibilities, each need to be elevated and presented, in order to demonstrate how the system shames and needs to be dismantled”. I wonder how this might be achieved, especially in those universities where dissent on these matters is immediately quelled with charges of gross misconduct. I love your courage in atomising the academy as you do in the book, and stitching your own personal (therapeutic) process into the weave. The power of the work for me was mediated by (1) the Marxist conceptual tool-box (2) your capacity to work to a place beyond the analysis to a place characterised by care, “dignity as a new form of wealth”(p217), “indignation as a motive force”(p204)… Glad you gave us chapter 9! Powerful also for me was your use of language (as far as I can tell) outside the Marxist toolbox: loved “the academic peloton”(p197), and even better somewhere the alliterative “professorial peloton”. I’m intrigued by the piece on The Hopeless University, and as in Kleinian therapy, having to go into the depressive position to a new realistic integration. I’m also intrigued by your passing allusion to “human essence” (p190) – tantalisingly undefined, and perhaps better so, but reminiscent of our conversations of something beyond, undefined, untouched even by the material conditions of our existences under capitalism. So, in this podcast we have the first half of my book launch from last night held at DMU. I was privileged to be in conversation with Sarah Amsler from the University of Nottingham, with some friends and comrades in attendance. Sarah’s questions (and she names people who have emailed in questions of their own) focused upon the areas given below the line. I am grateful to John Coster for his help with podcasting, and Steven Lyttle for his ongoing support. Next week, I will post the second-half of the book launch, which was the really engaging and fruitful question and answer session. Over on my homepage, there are a few photos and a link to the PowerPoint that was playing during the launch. In the podcast we don’t discuss alienated labour and the law of value in much detail, although that is central to the analysis in the book. For more on that check out TAA podcast episode 1. FIRST. I think the concepts of social metabolic control, Weltschmertz and indignation are worth explaining and illustrating. I think if there are people who have not read the book or do not fully understand it, these would be useful and probably new conceptual tools to leave with. A micro-version of the ‘Marxist conceptual toolbox’ that Klaus appreciates. SECOND. I would like to talk about how the analysis offered in the book is different from many of the other analyses you discuss in your literature review on ‘the crisis’, and why you chose to focus on alienation as your main lens. You say it is a heuristic (234) but I think in the book it is also an embodied condition or process. I think it would be educational to map out for people the particular conversations that you are involved in, with regard to Marxist theory and other theoretical schools (mentioned on p. 6). I would love to bring into greater relief the positive charge of the critique of separation: the life-blood of relationality, why it is lost beyond words when we are ripped apart from our individual and collective Being (187). To NAME this for what it essentially is would be progress. To find ways of naming forms of power that are both ‘generalised and opaque’, as my friend Raquel Gutierrez has written. You do in the book; we don’t generally. I think this practice of naming might very possibly already abolish academic labour, because it can’t be done as labour (if it is labour, it is not itself) and it can’t be done in ways that are recognisable as strictly ‘academic’. So, Gordon’s question, about the tensions of publishing mainstream academic book in contexts of tyranny of contemporary neoliberal academic research. My view at the moment is that there is not a lot of tension – we are not censored as such at the moment as long as they can sell if for their price. So we either do or don’t. THIRD. There is much made in the editor’s forward about the value of this book to the (Marxist) ‘educator activist’ who wants to do something about the problem. There is in all of our work, I think, a longing for it to be possible to do something to change the situation, i.e., the organising logic of society. He argues that TAA both generates energy from this desire and recognises, in the true sense of the term, the contradictions, complicities and impossibilities that are inherent to this project. I am interested in discussing how a certain kind of ‘hope[ing] trumps hate to counter the violence of separation’ (xiv) in the context of the capitalised academy. 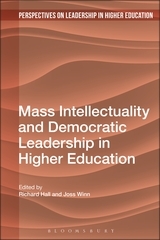 This resonates with Liz’s question about whether alienation is necessary for mass intellectuality (a term I still genuinely don’t understand so am a bit reluctant to ask about frankly) – in so far as I do not think the revolutionary subject that peers through this book is simply ‘non-alienated’. I think you argue that to aspire only to this mode of existence as an alternative to alienating remains a form of blind love and naïve optimism. Though you cite Cleaver twice on the idea of a ‘politics of alliance against capital…in a manner as to build a post-capitalist politics of difference without antagonism’ (256). I disagree with him, in so far as this is a desired aspect of struggle but that one of the limitations of academics in particular is that we cling to hope for liberal democratic processes that are not in fact antagonistic or struggles and thus can’t deal with antagonism fruitfully. Hence Liz’s question, hence the Kleinian depressive mode, hence cruel optimism, and hence your point in the book about ‘whitewashed academic norms’. It’s exhausting and suffocating. Once we become awakened to the ontological source of the crisis – the construction and colonisation of the law of value – what sort of becoming might we also be awakened to? What does it look and feel like to be indignant and autonomous? More, I love this: ‘to move beyond separation, divorce, false binaries, and social estrangement to define an alternative form of social metabolic control’ (204). 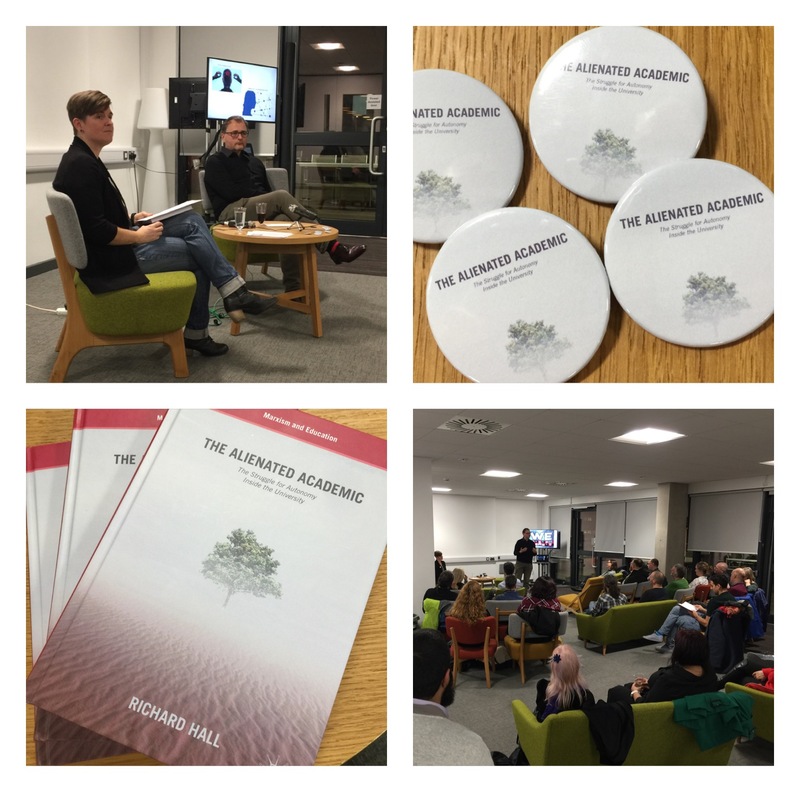 So, mid-week I have an invite-only book launch for The Alienated Academic here at DMU. I needed to test the AV kit that we are going to use for recording my conversation with Sarah Amsler from the University of Nottingham, and what better way than having some jibber-jabber with John Coster?! John is a lecturer in media production here at DMU, but I have known him for 9 years through our engagement in community work and community media. John set-up and ran Citizens’ Eye and then the Documentary Media Centre, he coordinated social media cafés, reportage clubs, conflict-media discussions, and work at the Leicester Centre for inclusive Living. John and I always find a space for discussing the relationship between theory and practice, and developing forms of praxis. In this podcast, we discuss the weather (because we are archetypally English), the colour of the sky, early-budding Magnolia bushes, whether I’m looking forward to the book launch, the judging of academics and their labour, and the ongoing obsession with value/value-added/value-for-money. There will be an edited version of the book launch uploaded as a podcast towards the end of this week, hopefully. Or maybe early next. Actually, probably early next. Ooh, and FYI, there is an Open and Collaborative Spotify Playlist for TAA.